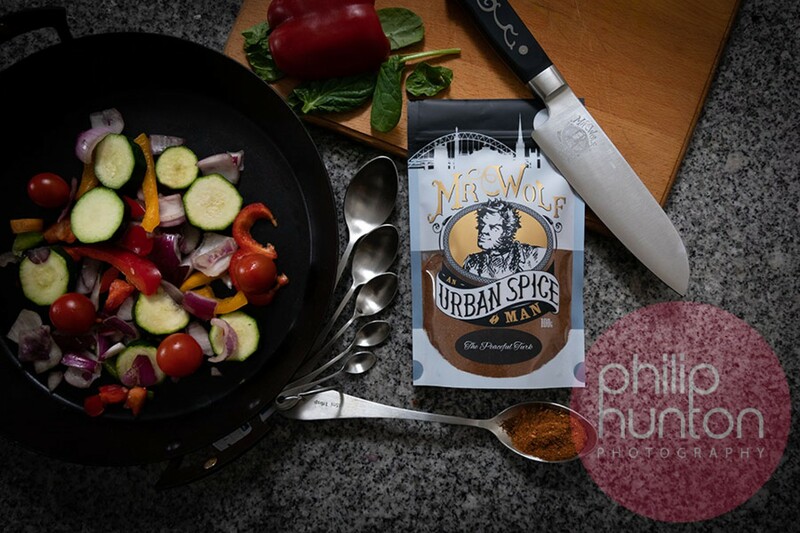 Mr Wolf has been producing spice mixes used by top chefs for years and now the unique blends are being released for the general public to enjoy. The new range has something for every palette and dish, from your tasty curry mix or middle eastern blend to tasty Italian mixes. 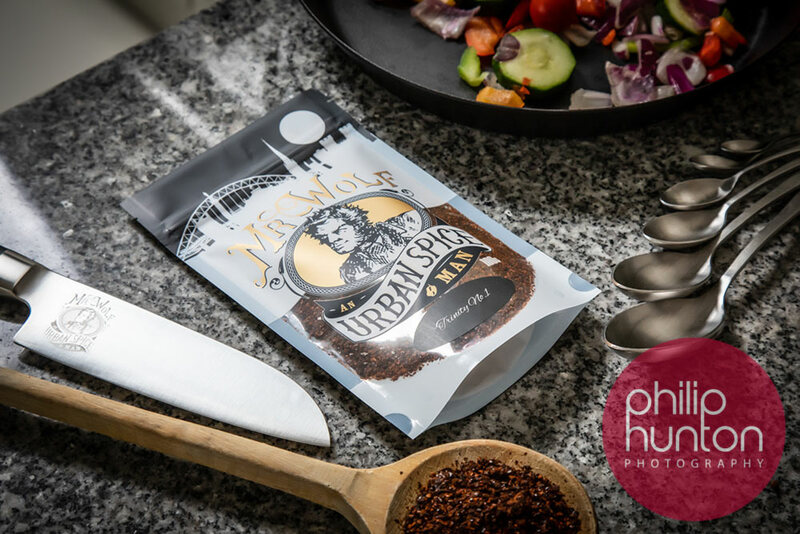 After years of use in the industry these blends are now set to spice up the taste buds of anyone interested in cooking. Developed in Newcastle the blends are named in very humorous and descriptive Geordie slang with names like “Wor Little Sistas Curry Pooda” and “Toon Curry Pooda”. Don’t let this little slice of humour fool you, contained within every pack is years of hard work in producing sophisticated flavors that are used by many of the top chefs to enhance their dishes. 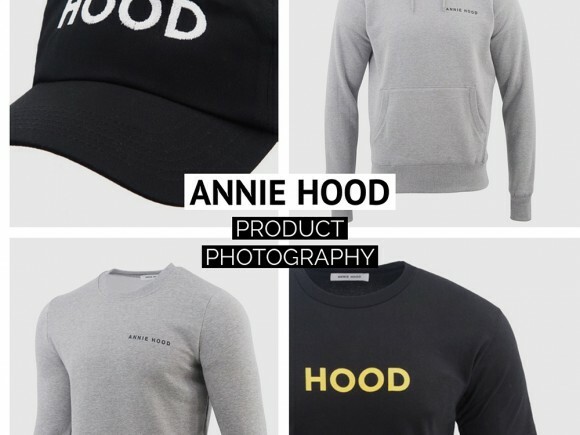 Mr Wolf approached PHP to produce on-white packshots for their new online store and some more creative images to use on social media and advertising. After some discussions and sampling of the products (product photographers do get the occasional benefits) we organised a shoot that would produce images which work with the brand to launch the products. Time and props were limited so we worked with an idea of what we wanted and improvised the styling to produce a series of images which would help the brand launch. In addition to the more creative images, on-white pack shots of every blend were produced to ensure that the product is accurately represented within their online store and an interactive 360 of one of the packs was created to allow customers to get that little bit closer to the product, read the labels and see the blend before trying it. Try out the Mr Wolf, drag the cot about and double click to zoom in on details. What looks good in 360? Anything you want people to be able to see in glorious interactive 3D! on any background and it works on any device! 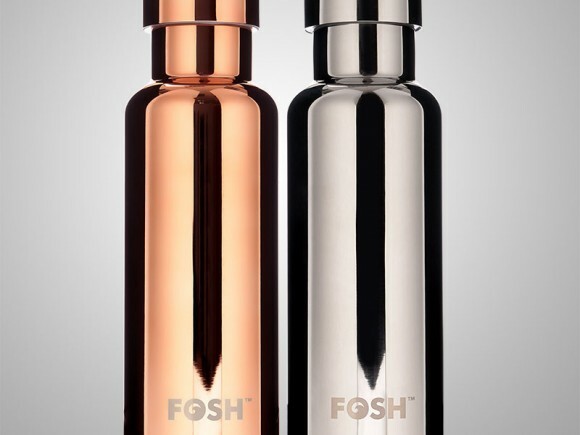 The photography is one element of the launch material, significant time has been taken developing the blends in the real world with real chefs to ensure that the products customers receive will be the very best possible. For more information on the photography services used by Mr Wolf, please contact Philip Hunton Photography on 0191 236 1017 or email info@philiphunton.co.uk to see how we can help you represent your products.